With The Rock auto-recalled by his pokéball's safety fallback mechanism, RedneckPhoenix needs only to send out his next pokémon to keep the battle moving. 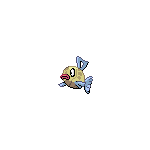 His choice is another pokémon to sure make a fire-type groan, a psyduck whose vacant expression doesn't change the fact that he can summon wind and rain and tidal waves. ProtonJon stares around at the glowing, half-aflame arena, expressionless, while Pepper gathers her remaining strength in preparation. He doubts he's going to last much longer, but he's going to make every second he has left count. Pepper grits his teeth, glaring into ProtonJon's blank look and summoning as much energy as he can manage. The growlithe's pain and desperation only amplifies increases his determination, and the golden aura gathering around him redoubles and expands until Pepper's completely wrapped in a golden mantle, shining like a brilliant spirit of legend. Lowering his head, he charges at ProtonJon, colliding with the psyduck in a blazing halo of light. ProtonJon goes bouncing and rolling through the smoldering grass, quacking occasionally at a particularly sharp jolt. He lies still a moment after bouncing to a stop. He definitely wasn't expecting to face such a powerful attack right out of the gate, but he's far from down for the count. 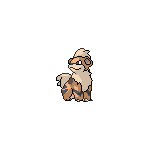 The psyduck clambers back to his feet, then charges back at his panting opponent, surprisingly nimble for all his pudge, and lays the growlithe out with a lightning-fast slash. The center of the arena has been turned into a large, barren crater, here and there fissured by the previous earthquake. Fires are growing in the surrounding grass, and distressed fireflies eddy through the air. - and finally Porygon2 attacks. I'll send out Belle next! Did not realize we were still waiting on some commands here! RedneckPhoenix, please give some orders in the next 48 hours! Attract. If it misses, keep using it until it works. If it hits, move on to Synchronoise. DQ warning for Porygon2. Forty-eight hours for commands. Porygon2 is disqualified. Pepper gets 2 EXP, and The Rock and ProtonJon get one apiece. Shouldn't ProtonJon get one KO? Yes, absolutely. Sorry about that.